Happy Monday, all my favorite people. 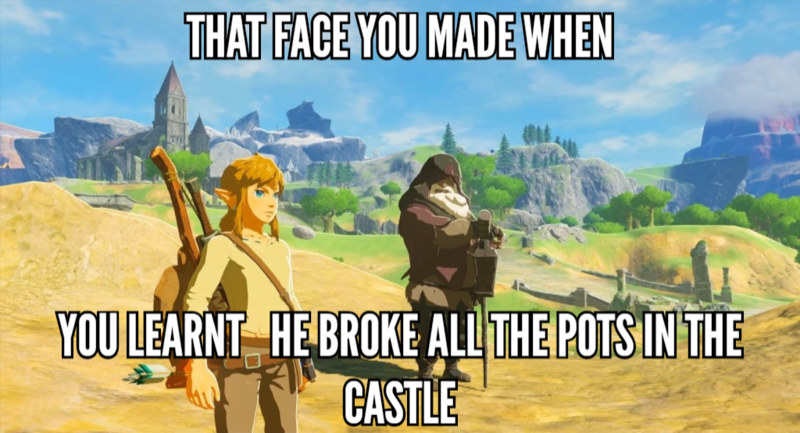 Are you ready for yet another entry in Zelda Informer’s Caption Contest? I’ve been getting quite a bit of mileage out of the new masks and items from Breath of the Wild‘s latest DLC Pack. The contest has featured Majora’s Mask, Tingle’s Outfit, and the Travel Medallion. 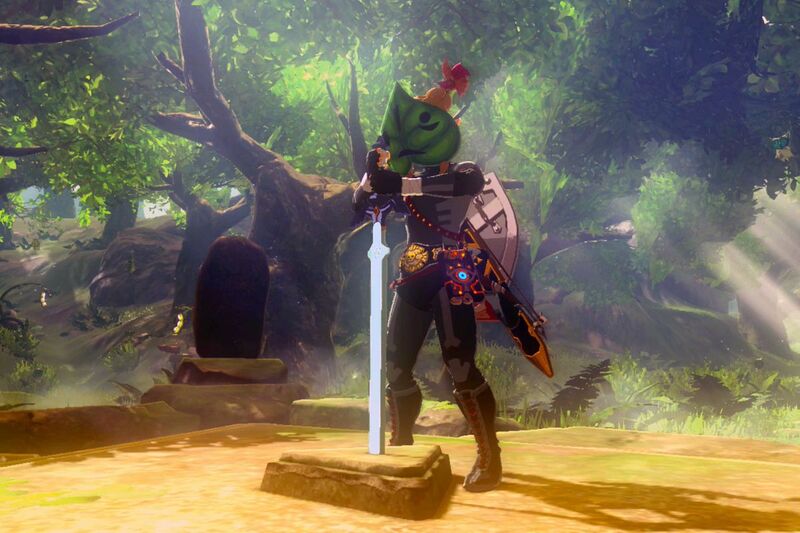 But I would contend that no new item is as useful as the Korok Mask, a headpiece that eases the anxieties of searching for pesky Korok Seeds. 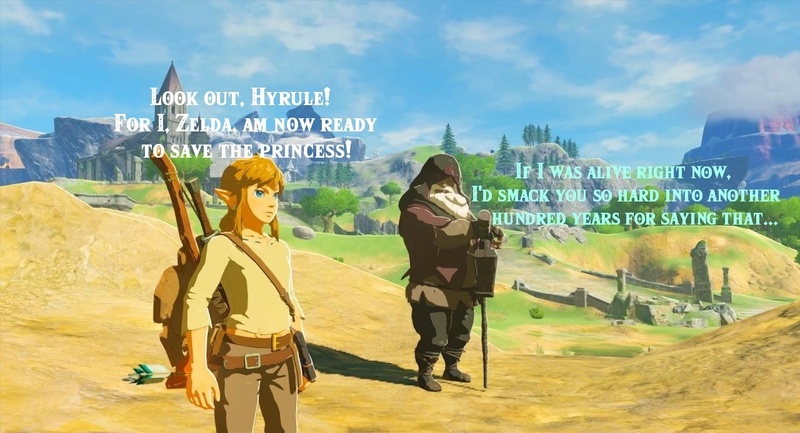 Link set out on his adventure last week, though a certain old man expressed his reservations. piperkfb: Old man: Those eyes… those unblinking eyes, what ever could he be thinking about the trials soon to come? Link: If I woof at a dog and he responds, could I be considered bilingual? Art1st4786: “Link: Look at that castle…and those mountains…and all those trees! I’m going to climb all of them! ??? : Link: Alright! Master Mode, here I come! 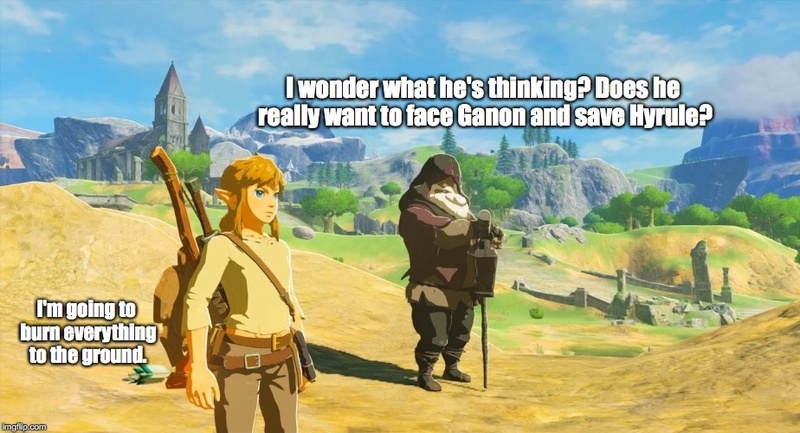 I now want a side-game starring a Korok hero. Please refrain from using offensive material (racial, sexual, overuse of offensive language, etc.) We want to make the contest fun and accessible for fans of all ages. 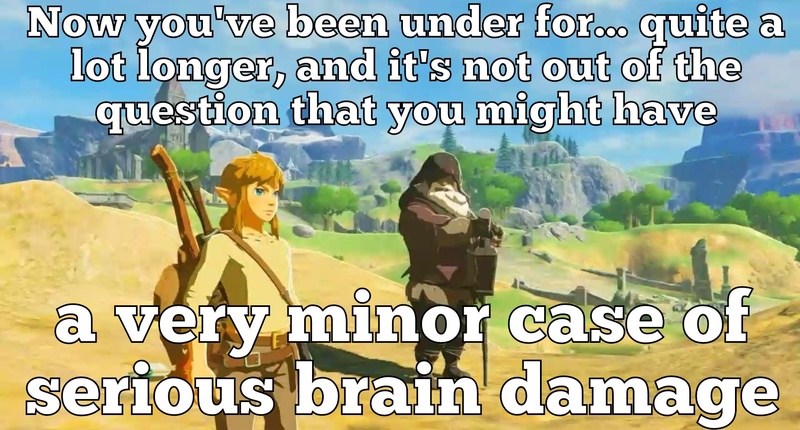 When in doubt, keep it Nintendo. If you don’t have the ability to edit the image, just leave it as a comment. We make sure to have a separate list of winners for this category. Photo editing and manipulation (i.e. Photoshop) is allowed, but these entries will be part of a separate list of winners for this category. 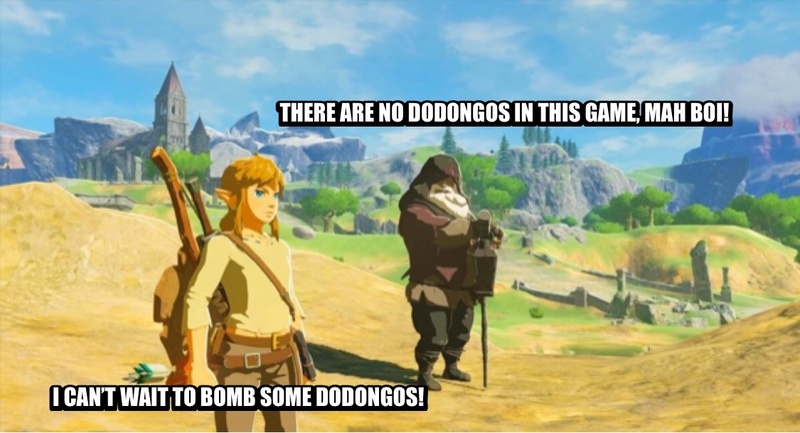 Everyone is entitled to their own opinion at Zelda Informer. In fact, we encourage discussion based on those opinions. However, please do not insult other fans’ work. What may be funny to one person may not hold true for another…and that’s OK.
Don’t forget to check back throughout the week and upvote your favorites, and maybe you will be one of next week’s winners!